Oh, Snapchat. The elusive milestone in technological communication that has most people aloof. We get everyone's doing it, but can’t quite grasp how. Is it a labyrinth? Is it an app? Sorta, it’s Snapchat. In its ancient form, Snapchat was a simple social media platform. Child’s play. It allowed you to connect with fellow snap-chattering friends through pictures or videos in real time. You would snap a quick pic (or record a quick vid) with a lifespan of no longer than 10 seconds. Next you’d customize with a brief text and or draw on the screen with some aesthetically pleasing red ink. Lastly, you would select the length of your snaps life, then it’s off! Never to be seen again. Gone forever. That Snapchat is no more. We now live in a world of stories, geotags, and dog filters. Not to mention the ever intimidating ‘Memories’ it has concocted. So how do we maneuver through the excess of creative possibility that is Snapchat? We break it down. Honestly, they’re a gift. Have you ever wondered what your friends are doing anytime of the day? Check their story. Scared someone has ditched your plans to hang with another? Check their story. Trying to avoid someone and want to scope out their whereabouts? Have no fear, stories are here! 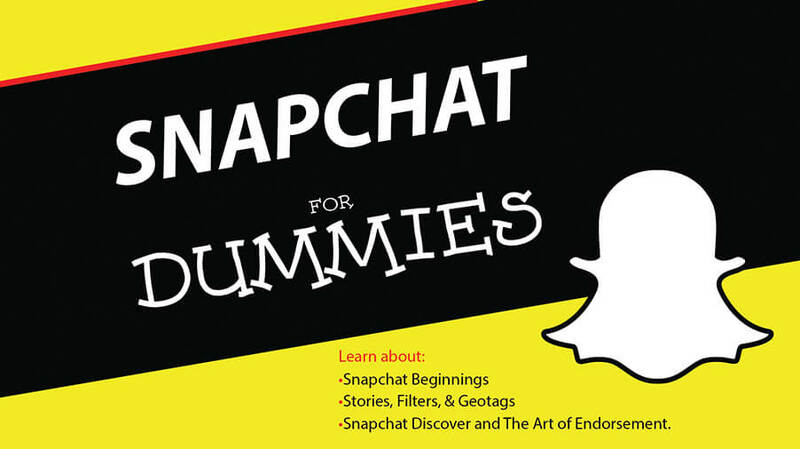 In layman terms, a Snapchat story is a photo or video you post to a feed of your very own. It's visible for a 24-hour cycle to you and your Snapchat peers. All your friends. To see it swipe from right to left on any tab until you see a screen tab labeled "Stories." Your friends' stories will appear under "Recent Updates.” All your friends’ stories. Usually composed of entrancing selfies, or even more mystifying dinner plates, stories are an outlet to tell people what you’re doing at all times. As an extension of the Stories feature, Snapchat has created Discover. To cover a wide range of interests, Snapchat has partnered with CNN, Vice, Yahoo News, Comedy Central, National Geographic, Daily Mail, ESPN, Food Network, and Cosmopolitan. Discover allows Snapchat users to view news in a similar format to Stories. After 24 hours, the stories disappear and are replaced with fresh content. “Introducing, Memories! You can use Memories to create new Stories from Snaps you’ve taken, or even combine different stories into a longer narrative,” says Snapchat. Not only can you show people what you’re doing in real time, but now you can upload beach pics from last weekend’s spur of the moment Miami trip in attempt to grab that one special snapper’s attention. You’ll never have lack of visual enhancements on Snapchat. Here's a concise list of your options: filters, face filters, geotags, stickers, weather, date, time, speed it up, slow it down, flip it back and reverse it. Some of these are self-explanatory. Others are not, in particular: geotags. A geotag is an electronic tag that assigns a geographical location to a photograph or video, a posting on a social media website, etc. Simple, easy, decorative. To receive them all you have to do is enable your location!
. Because Snapchat has such an intimate relationship with its users, endorsements tend to go a long way. From Arnold Schwarzenegger's political support of John Kasich, to Kylie Jenner's tireless, promotional lip kit snaps, Snapchat advertisement knows no bounds. But, considering this superhuman app reaches 41% of 18-34 year-olds on any given day, why should it? It is personal; it makes the user feel connected. So when someone hears or sees something on Snapchat, they listen. This app isn't Twitter, and most certainty is not Facebook. It's not overwhelmed with shameless plugs, so the Snapchat sphere pays attention when something is brought to its attention. It's no wonder Ms. Jenner's lip kit consistently sells out in under a minute; she is one of the world's most followed people on Snapchat. At the core, it is the actual ability to chat. Either through quick text exchanges, voice- call, or video chat, you can communicate virtually anyway you’d like. This section is simple enough. Congratulations, the in’s and out’s of Snapchat have been revealed for all our non-millennial and gen z-ers. Now, we patiently await the next update in hopes it doesn’t throw its loyal patrons for a complete 180.